Melanie and Jake have been married for 10 years. As a therapist, it can sometimes be a slippery slope between helping couples solve problems and getting stuck in the quagmire of stories and emotion. 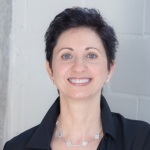 Focusing on helping couples solve problems or simply listening to story after story does not get to the essence of the conflict, underlying attachment related needs and emotions, keeping therapists stuck in couples’ unchanging patterns. The couple needs our help going beyond the surface of problem-solving and listening into their deeper emotions for real change to occur. 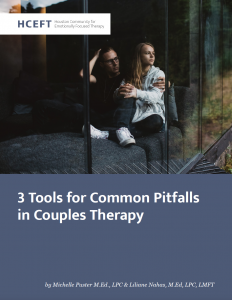 We’ve created a free download: 3 Tools for Common Pitfalls in Couples Therapy, with three ways Emotionally Focused Couples Therapy (EFT) can help therapists from getting stuck.